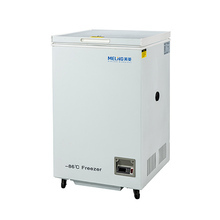 Meling 2~8℃/-10~-40℃Medical Refrigerator & Freezer YCD-FL289 is specially designed for plasma storage and reagent storage. 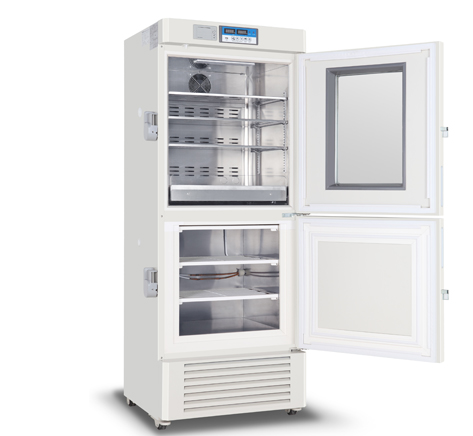 The new update of this medical refrigerator is the refrigerated and frozen independent control. And you will have completely new look with this refrigerator. The digital temperature and humidity are displayed independently, and the running status is clear at a glance. You can set the temperature points for the high and low temperature alarm. No CFC polyurethane foaming technology, thick insulation layer, ensuring good insulation effect. 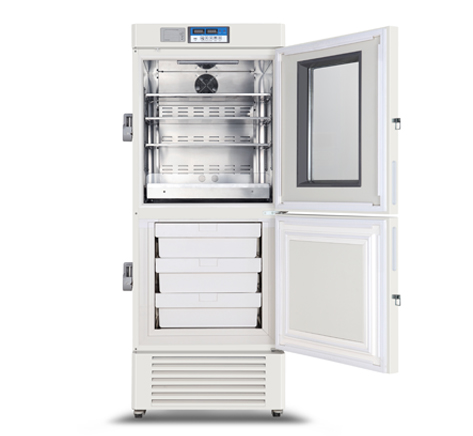 This medical refrigerator and freezer has 8 kinds of sound and light alarm functions, including high temperature, low temperature, high ambient temperature, low battery, sensor failure, communication failure (USB) data download failure, data logging function not enabled, door opening and power off, which ensure the sample storage is safer. 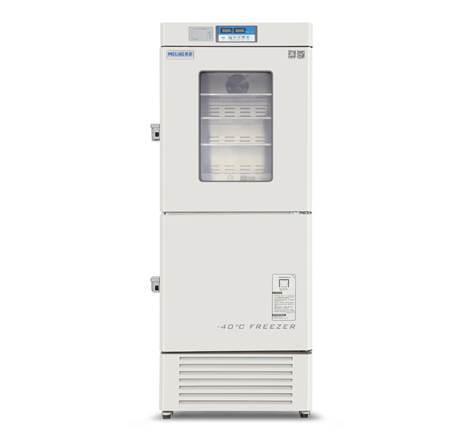 Inter-room independent door lock and independent external padlock to ensure safe sample storage. 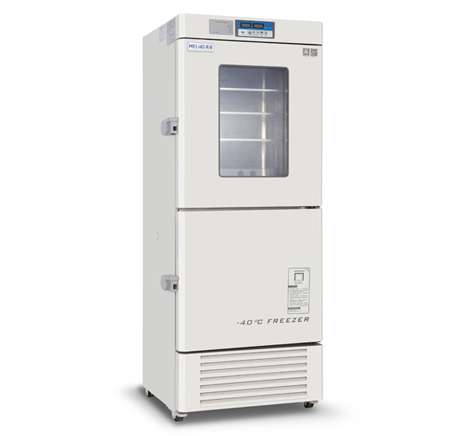 high temperature, low temperature, high ambient temperature, low battery, sensor failure, communication failure (USB) data download failure, data logging function not enabled, door opening and power off.